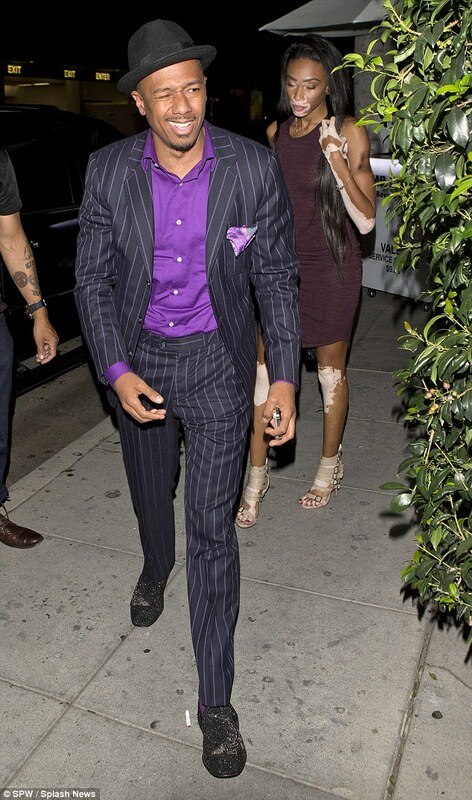 Nick Cannon is reported to be dating model and vitiligo spokesmodel Winnie Harlow. He was spotted with the 21 year old after having dinner at Mr Chows in Beverly Hills .They then exited the restaurant into the back of a chauffeur driven car.She was diagnosed with vitiligo, a pigment condition that causes white patches to form on skin, at the age of four. Winnie describes her self as a 'vitiligo spokesmodel' on Instagram and gives motivational speeches..